St David's Cathedral, Wales. Sigma 10-20mm @10mm. One of the first lenses I bought to use with my original digital SLR (the Nikon D70) was the Sigma 10-20mm f4-5.6 DC HSM. At the time, it was much less expensive than the Nikon alternative (12-24mm), and was well reviewed. As it turns out, it has been one of my most used lenses for nearly 7 years. I've just returned from a break with the family in West Wales, and of all the lenses I brought with me, this is the one that stayed on the D300 most. Even though I bought it as the budget alternative to the Nikon, no-one has ever complained about the quality of prints I get from it, and they evidently pass PAGB and exhibition quality thresholds. The thing about ultra-wides (by which I mean lenses that are wider than about 24mm on 35mm format or 16mm on DX crop-frame) is that they represent such a departure from the normal way of seeing that they can add drama to a scene. I've been an addict of this for many years. I had a 24mm lens for my film camera, which is at the beginning of ultrawide - it is quite easy to add a bit of an edge to a scene with that focal length. Although it is only a few millimetres wider than a 28mm, the 28mm focal length has never done anything for me; I never owned a 28mm film lens, even though this seemed to be generally very popular. The DX equivalent of 28mm is about 18mm, which is the widest my standard 18-70mm zoom goes: it is a bit of a blah focal length for me. The most common use of a wide angle is to "get it all in" - and there's nothing at all wrong with that if that is what the scene demands. This idea though seems to get poo-poo'd on the forums: it is somehow what your granny would do. The problem that many people have with wide angles is that, while the subject may be wide, it may have no great depth, so it just gets lost. Getting-it-all-in still means being able to make the most of the subject in a wide and deep frame. The common mis-perception about wides is that they are just about width: that is not the whole story at all - they could just as well be named depth lenses. By putting an interesting foreground element in front of the general scenic view, a sense of scale and perspective can be created. This is also a way of giving context to a foreground element. 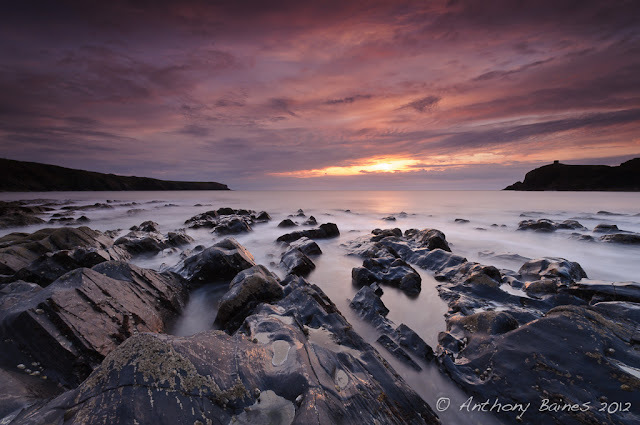 Here are three pictures I made in Wales with the 10-20mm lens. The opening picture, above, is St David's Cathedral - a classic case of getting-it-all-in. 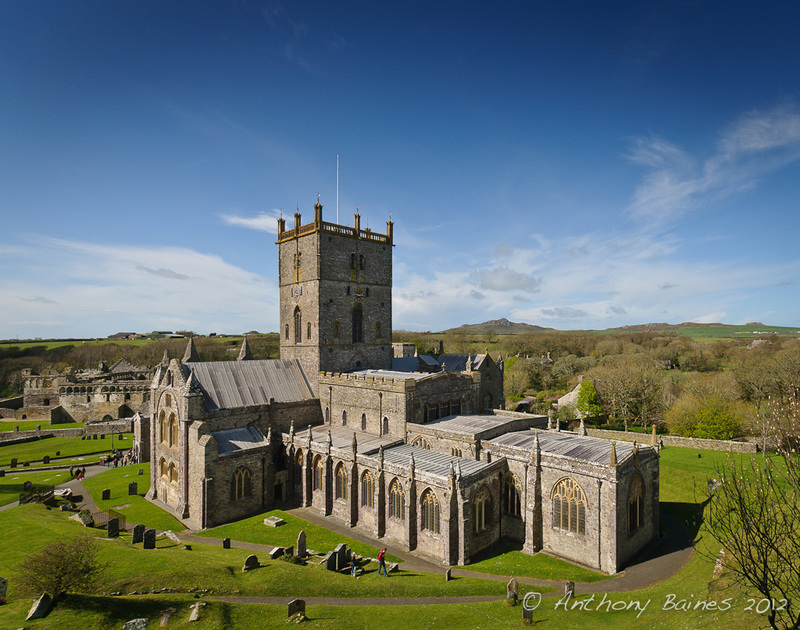 The town of St David's crowds close in on the Cathedral, and so the only way to get a clear view is close up. The picture was taken standing on a wall above the cathedral - the cathedral is so big, I was actually surprised to be able to get it all in. Thrift, St Anne's head. Sigman 10-20mm @ 14 mm. 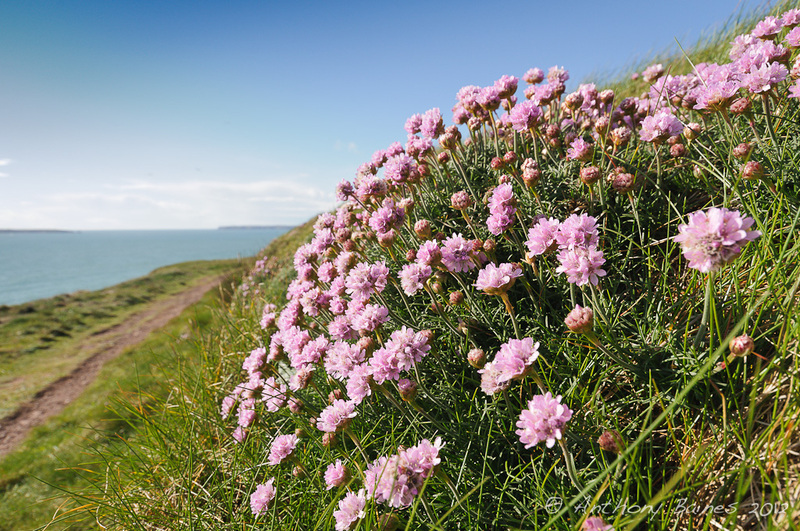 The flowers were on a cliff top path at St Anne's Head. I think a simple close up with a normal lens, although it might have revealed more petal detail, wouldn't have been so pictorially interesting, nor would it have shown the context of the flowers. The last picture here was taken on a beach at sunset using a long exposure to get a misty effect on the water: I added a 3 stop Lee ND filter to lengthen the exposure, and a 3 stop (0.9) Lee hard grad to keep the sky on scale. Straight out of the camera with minimal Lightroomery. Sunset. Sigma 10-20mm @ 10mm.